Welcome to Jamyang Karpo, the repository for the Tibetan Buddhist Teachings of Venerable Zasep Tulku Rinpoche. Zasep Tulku is the spiritual head of a number of Buddhist Centers, including Gaden Tashi Choling Retreat Centre in Nelson, BC, Canada, Vancouver, BC, Calgary, Alberta, Toronto, ON, Ottawa, ON, Thunder Bay, ON, Seattle, WA, Moscow, ID, Kalamazoo, MI, and Tasmania, Australia. 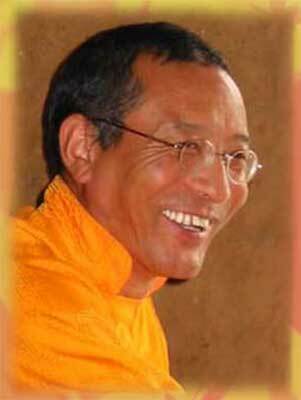 The Venerable Acharya Zasep Tulku Rinpoche, a highly realized and internationally respected teacher of Gelugpa Buddhism, was born in Tibet in the province of Kham in 1948. Zasep Tulku Rinpoche was recognized as the 13th incarnation of Lama Konchog Tenzin of Zuru Monastery. In 1959, during the Chinese invasion, he escaped from Tibet and continued his education for sixteen years in India under the tutelage of many of the greatest teachers of Mahayana Buddhism. In 1975, Zasep Rinpoche left India to study in Thailand where he joined the monks of a forest monastery. For eighteen months he studied and practiced with them. He then traveled to Australia and translated for Tibetan speaking Lamas for a number of years. Since 1976 he has taught western Dharma students in Australia, Canada, and the United States and has developed Dharma centres in each of these countries. Rinpoche regularly visits these centres and offers extensive teachings, initiations and retreats which his many students enthusiastically attend. 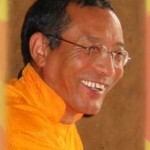 Zasep Rinpoche now resides in Nelson, BC, close to the Gaden for the West retreat centre (Gaden Tashi Choling Retreat). In 1999, Rinpoche and his students created the Gaden for the West umbrella organization to more effectively support and nourish the study of Gelugpa Tibetan Buddhism in the West. He supports a number of Buddhist projects in Tibet, Mongolia and India through the non-profit society Gaden Relief. Proceeds from sales/donations on this site will be used to support the website, and the projects of Gaden for the West. NEW: A Mongolian translation of Rinpoche’s Autobiography has been created. Please consider helping Monks and others in Mongolia to obtain this new translation by donating to help defray costs. Please note: Donation amounts are listed in Canadian dollars, but are charged in US dollars. An appropriate currency conversion is made at the time of donation.